Shekar’s love for the game keeps him going despite all the hardships he faces on a daily basis. It’s almost an hour into the men’s singles final at the Tabebuia Open at the Karnataka State Lawn Tennis Association (KSLTA) Stadium in Bengaluru. Shekar Veeraswamy, the tournament’s top seed, and Balachandar Subramaniam, the second seed, are locked at 11-11 in the first set tie-breaker. The audience of about fifty has so far been thoroughly entertained on this cool, sunny Sunday morning. Balachandar pauses, inhales heavily, and serves. Net. First fault. Another little pause. Then, three bounces of the ball. Bala then hits a nervous, weak serve. Shekar spots it. He thrusts his wheelchair, makes a rapid rush to the T line and smacks a forehand to Bala’s right. The ball bounces twice. Bala, hitherto uncertain about which way Shekar will hit the ball, makes a desperate attempt to reach the ball before the third bounce (the players are allowed a second bounce – except this, wheelchair tennis follows the same rules as non-disabled tennis). He misses. He wryly smiles. Shekar leads 12-11. Bala then nets Shekar’s serve down the T. A marathon ends. Shekar does a silent, gentle fist-pump – his second one of the match. The country’s No. 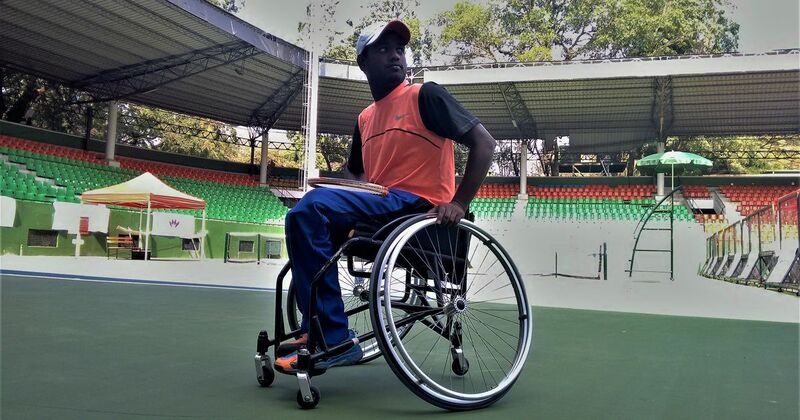 1 wheelchair tennis player has conquered yet another challenge that came his way. He had to struggle – but not as much as he does off the court. 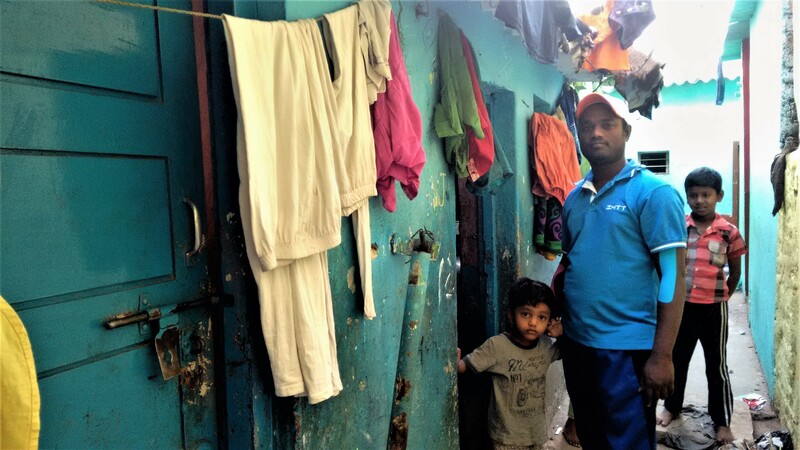 Inside a lane that's narrower than four feet is Shekar's asbestos-roofed one-room shack. Shekar’s father, a daily wage labourer, and mother, a homemaker, couldn’t afford his son’s education. At 10, Shekar started working in a shop that polished silver lamps. Then, a friend took him to the KSLTA stadium to join as a ball boy. 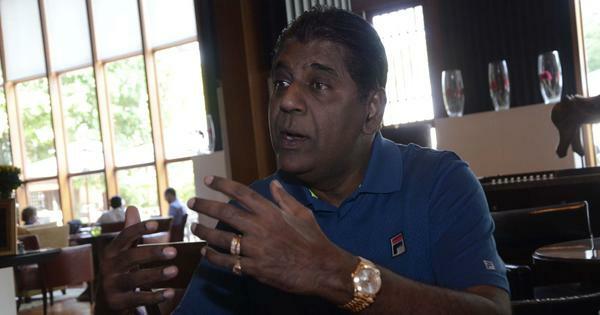 Courts, racquets, balls – Shekar took an immediate liking to them. Ball boy, he became. Since then, the commute from his house in CKC garden to KSLTA stadium became a constant. From ball boy, he became a marker. Then, an assistant to the coach. “I was riding pillion on a motorcycle (in 2005 – he doesn’t remember the month and the day)... In double road… When this other vehicle sped…” he recalls reluctantly. His left leg was amputated. “For six months I was in bed. My eldest brother, who used to work in a courier agency, took care of me. He was one family member who used to support me… He isn’t there anymore,” he says with a quiver in voice. The next year, he participated in another national-level tournament, practicing only for two days. He won this time. Tennis, after all, has been his profession and passtime – legs or wheels, he was good at it. “For the first time in my life, I received prize money… 50,000 rupees.” He smiles a little. Shekar makes a trip from his home in CKC Nagar to the KSLTA in Cubbon Park with his four-wheeled Honda Activa 4G everyday. 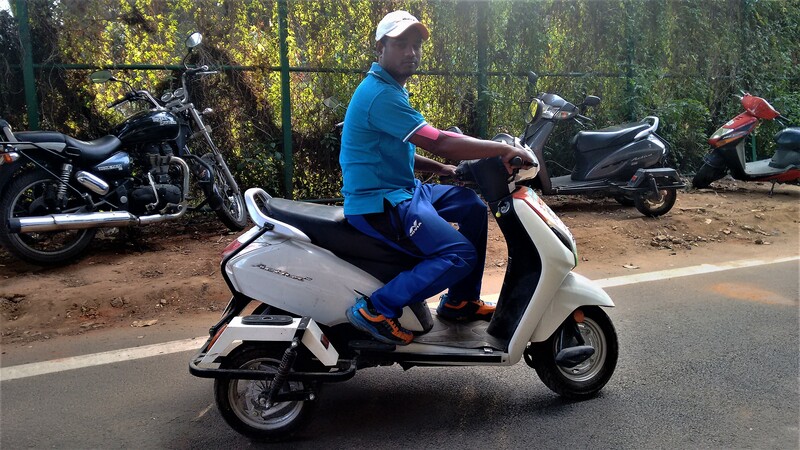 On the eve of the Tabebuia Open final, after an easy outing in the semifinal, he’s on his way home in his dirty white Honda Activa 4G. From the serenity of the Cubbon Park, wherein the KSLTA stadium is nestled, the four-wheeled Activa enters the commotion of the evening traffic at Richmond Circle. From here, he will take the double road to get his home in CKC garden. This is a route he knows very well. He parks his scooter in front of a small chemical godown. For it will be difficult to park it in the five-feet lane that he takes to get home. He cuts into another lane, which is just a little wider than his scooter. The next lane he takes, the scooter can’t even enter. He enters his home: an asbestos-roofed shack that is smaller than the size of a service box of a tennis court. In it lives his mother, wife, his seven-year-old daughter, and his four-year-old son. The shelf is crowded with, among other things, a television set, stove, vessels, plastic boxes and his trophies – more than 12, which he won in India, Malaysia and Bangkok in several national and international tournaments. “Some of the trophies broke after falling down. So, I have kept some inside a box,” he says. There’s a green single steel cot on which he and his 60-year-old mother – a stroke patient – sleep. The wife and kids sleep on the floor. “It gets hard when it rains. The water leaks from the roof,” he says. When asked for a photograph, the family of five huddles together to pose. But to capture them in a frame one has to step outside the house. 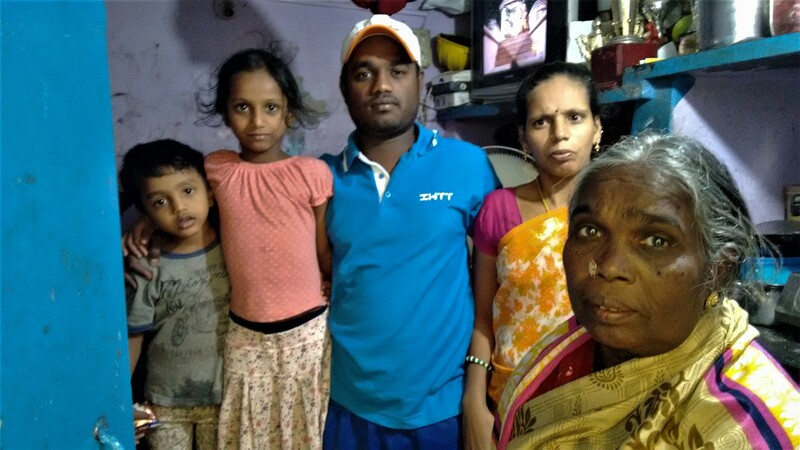 Shekar with his mother, wife and children. 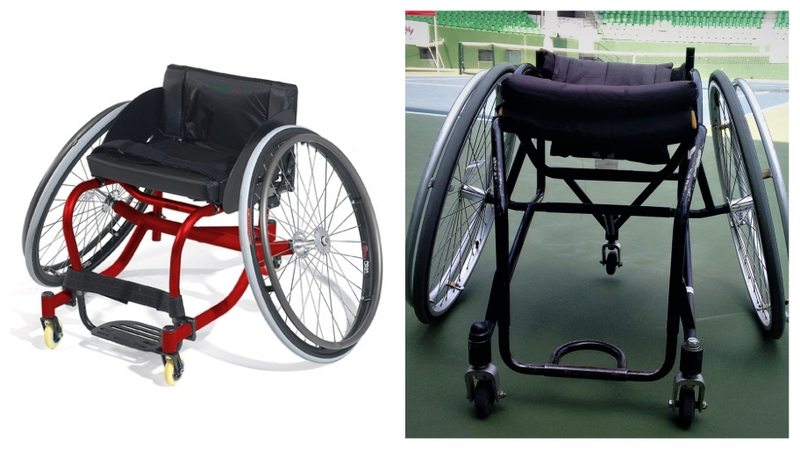 The Quickie Match Point series of tennis wheelchairs by Sunrise Medical (like the one on the left), which cost over Rs. 2.5 la, are customizable, weighs light and are designed for agility and control. Shekar's wheelchair (right), manufactured by Motivation, is more rudimentary. Wheelchair tennis was born towards the end of 1970 when former skier Brad Parks, who’d been paralysed in an accident, met his therapist Jeff Minnebraker, who’d also been injured in a car accident. The latter had devised a lighter, slightly modified version of the conventional wheelchair to play tennis. Parks and Minnebraker sold the equipment; the former advertised the sport, set up associations and popularised the game worldwide. Prabhu, by 2000, had participated in several international tournaments, even making the semifinal of the US Open in 1998. He wanted to popularise the sport. He started the Boniface Prabhu Wheelchair Tennis Academy, which was later merged with the All India Tennis Association (AITA). To celebrate the 25th anniversary of wheelchair tennis in 2001, ITF, in 2002, introduced the Wheelchair Tennis Silver Fund, with the aim of establishing wheelchair tennis projects in several countries including India. It never really took off even as Prabhu played more international events, rose in the quad rankings – he was even among the world’s top 20. In 2009, ITF attempted again to promote the game in India. In association with AITA, it focussed on three cities – Mumbai, Delhi, and Chennai – to find more wheelchair players. The tournaments conducted hitherto were standalone, irregular, and inconsequential. They neither gave them a national ranking nor helped them better their levels in the international stage. But Shekar had won several of these, for they were the only opportunities he got. 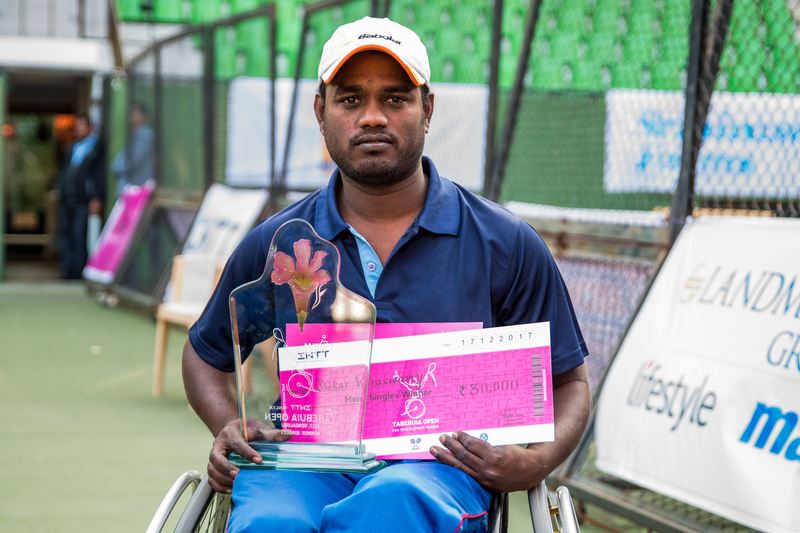 In 2014, the founder trustee of NGO Astha, Sunil Jain, with AITA’s approval, decided to set up the Indian Wheelchair Tennis Tour (IWTT), a national level tour that’d help those who play within the country. The first tournament of the tour took place last year, in Bengaluru’s KSLTA stadium. Shekar beat Balachandar in last year’s Tabebuia Open. In the Chennai leg of the tour this year, Bala handed Shekar his first national-level defeat in several years when he conquered him in a thrilling three-set final of the Marina Open. “Go Bala! Super! Super!” yells a Bala supporter after he breaks Shekar in the second set’s first game at the Tabebuia Open. Bala smiles. Bala always smiles: it’s cheery if he wins a point and wry if he loses one. Shekar is all straight-faced. The only time he’s animated is when he appeals a line-call to the chair umpire. Otherwise, his emotions are protected. Even his fist-pumps are hushed and done without any fervour. On winning a point, he just gets ready for the next one. On losing, he shadow practices, sometimes with a wince. Bala serves well in the second game to go 2-0 up. This early advantage he needs after losing a nail-biting first set to boost his morale and put pressure on the defending champion. But some of Shekar’s returns in the first set left Bala clapping for him. To hold on to the lead will be tough. It is. From 1-3, it soon becomes 3-3, with Shekar hitting a sensational backhand-down-the-line winner in the set’s sixth game. Bala thwarts Shekar in the next game to hold his serve. But after that, Bala’s game slips a bit – he frequently finds the net, misses first serves and is easily deceived by Shekar. More wry smiles. Less shadow practices. At the end of the 10th game, Shekar allows himself a big smile and a proper fist-pump. He’s champion again at the court in which he’d joined as a ball boy 19 years ago. 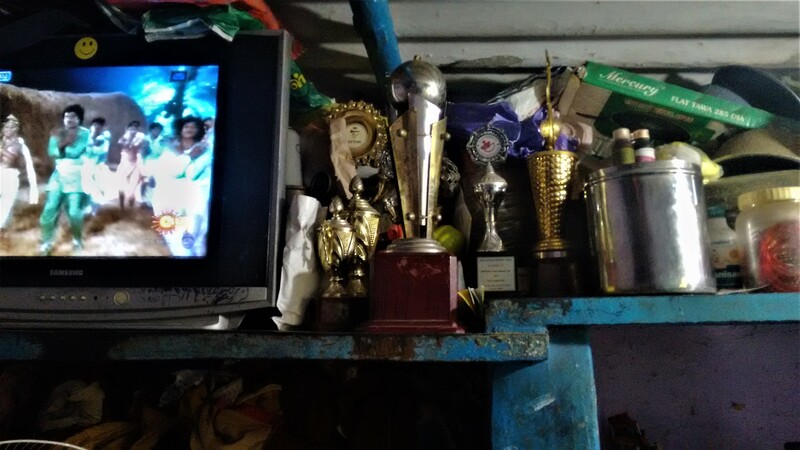 Shekar's trophies cramped between the television and sundry vessels. Bala, like many pros over the world, uses a high-end, customised wheelchair made by Quickie that costs over USD 2,600. Shekar’s, manufactured by Motivation, is a rudimentary one that’s about Rs. 25,000. “Yeah, it gets stuck sometimes during a rally. It’s sometimes difficult to move with it,” says Shekar. He’s thankful to KP Balraj, the managing director of a venture capital firm, and KSLTA’s secretary PR Ramasamy for sponsoring his tournaments abroad so far. But for Shekar to raise his level, he needs streamlined coaching, better competition, good nutrition among other things, says Prabhu, who’s met him briefly. All that Shekar cannot afford with his monthly income of Rs. 10,000. Tennis gave him trophies, but not a house big enough to showcase them. It got him the respect of his peers, but not recognition from even his neighbours. It gave him purpose, but what’s purpose when you have an almost empty purse? Why then, one asks him, does he continue to play the sport?